It is with heavy hearts that we announce the passing of Ted Gaudet. There are no words to truly describe the amazing leader that Ted was, and the countless lives he touched by his sheer will and determination to better the lives of people living with and affected by HIV/AIDS at the local, national, and international level. Ted’s leadership in the HIV/AIDS community began with AIDS New Brunswick in 1994, and from the beginning he has been a force to be reckoned with. Ted provided a voice and a face to an invisible community, and worked tirelessly advocating for the rights and wellbeing of people living with, and those affected by HIV/AIDS at the local, national, and international level. This work is exemplified through his involvement with AIDS New Brunswick’s Board of Directors; the Health and Wellness Committee of AIDS New Brunswick; the Global Network of People living with HIV/AIDS (GNP+); the Canadian AIDS Society; and innumerable other projects and committees. These recognitions are a testament to his drive to improve the lives of those living with and affected by HIV/AIDS. Ted will be truly missed. Ted was tireless fighter for PWA! His courage and determination to better the lives of people living with HIV/AIDS lives on in the people he inspired! My sympathies to his family, friends and the HIV/AIDS Community. 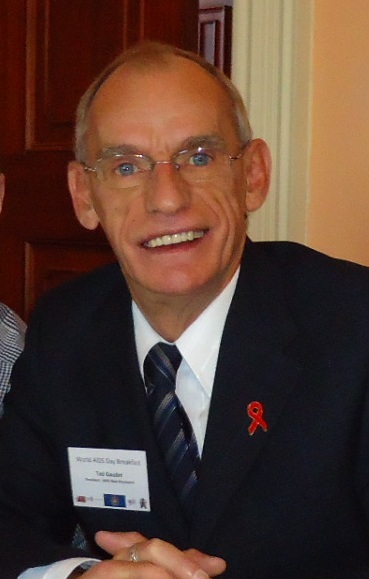 Ted was a gentle but fierce advocate who truly understood the value of being a public voice and face for people living with HIV. He was able to see through the noise, and hone in on rational, rights-based approaches to HIV programs and policies. It was a pleasure to work with him over the years on the odd committee/project and I will miss his big smile and strong voice. Thank you for all you did, Ted. Ted’s passion and involvement have helped many of us get to where we are today. Thank you Ted for giving so much. You will be remembered. I was saddened to hear of Ted’s passing. Although Ted and I didn’t always see eye to eye when I was President of AIDS NB, I never doubted his passion for the AIDS community. He was a true communicator, a committed activist and a worthy foil for policies that did not address the PLWHIV community’s needs. His work for the AIDS community is formidable, to say the least. I have no doubt that he will be deeply missed by all who knew and loved him. Rest, finally, Ted. You deserve peace. I knew Ted from years ago and he never backed down from a fight that’s for sure. Thanks Ted for everything. I am so sad to hear this news. I have known you for about 20 years. I remember when I went to one of my first CAS conferences and you were there and welcomied me with a open arms and a warm heart. Will miss you buddy. R.I.P. You were a true advocate for us all. My condolences to Ted’s family, his AIDS NB “family”, and the PLW HIV/AIDS community. Ted was an amazing advocate and the most dedicated volunteer I have ever had the pleasure of working with. He will be greatly missed. I am deeply saddened by the news of Ted’s passing. I wish to send my heartfelt condolences to his family, friends, and colleagues. I had the opportunity to get to know him better while sitting, for many years, on the AIDS-NB Board. He was well versed in Board procedures and he was very supportive as a fellow board member, in particular, one Annual General Meeting comes to mind where I had the opportunity to chair the meeting, Ted graciously guided me through it. I will always remember his determination and his passion to make life better for people living with HIV /AIDS. Ted you will be miss. A leader with a purpose and a wonderful human being. Ted will be missed and remembered. May he Rest In Peace !! !